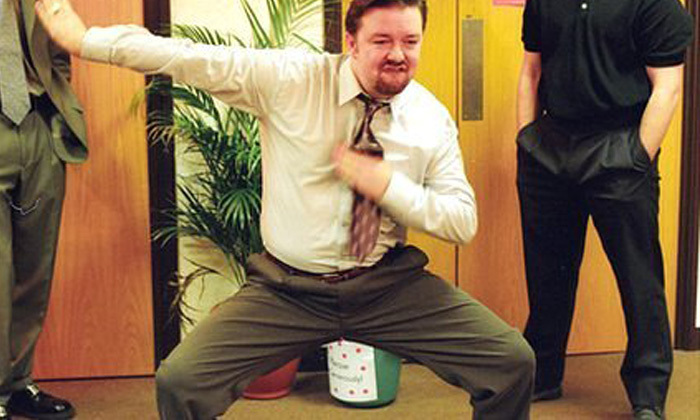 Job seekers said they were “humiliated” after being asked to dance to a Daft Punk song during an interview. The company, British electronics retailer Currys, has issued an apology after admitting one of their management team asked job candidates to dance. The job seekers, who were attending a group interview at a Currys Megastore in Cardiff, had to perform dance routines during team building exercises. Alan Bacon told BBC he was looking forward to the job interview, but instead of being able to prove his knowledge about cameras – his passion – he ended up doing a robotic dance which he described “like a scene out of The Office”. Bacon said he was offered the interview for a sales assistant role and was told he’d have five minutes to talk to interviewers about his hobbies, but instead the candidates were split into two groups and told to make up a dance. “I think everyone initially thought it was a joke,” Bacon told BBC. “But they were serious. All professionalism went out of the window. I’d spent the past week researching the company and looking forward to being able to express myself and talk about what I love doing. “I ended up dancing to ‘Around the World’ by Daft Punk, doing rubbish robotics in my suit in front of a group of strangers. “Another middle aged guy looked really upset as he danced to a rap song. Currys said the incident should not have happened and it was carrying out an internal investigation, Reutersreported. “We are extremely disappointed that one of the management team at the store in question did not follow our official recruitment processes,” it said in a statement. We speak to HR leaders and consulting experts across the board to unveil ideas on sustaining a culture of wellbeing beyond a check..